RAF Marham was the last home of the Victor force, and when they sadly left service in 1993 one was earmarked for preservation at the station. 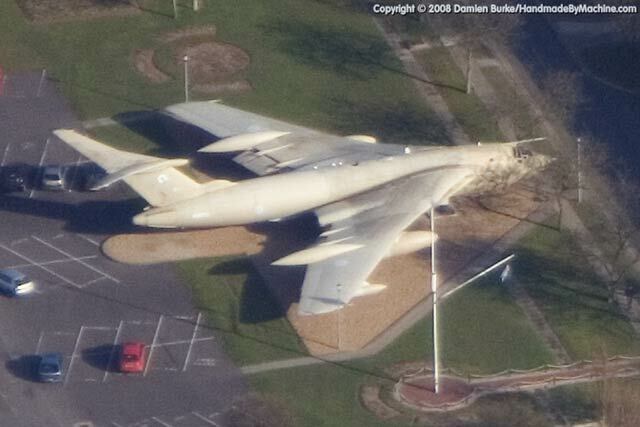 XH673 now graces the area outside the SHQ, so you need to be inside the station to get a picture (or high above it!). She was repainted in 1999 and has the cockpit glass covered with black panels to protect the cockpit interior - the perspex was apparently fogging over too. Externally at least she was in excellent condition when I last visited in 2000, but rumours abound that her future at the station is looking bleak.